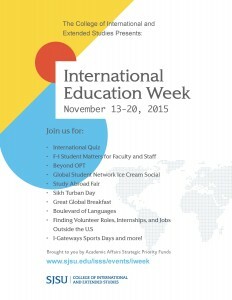 Flier for International Education Week. 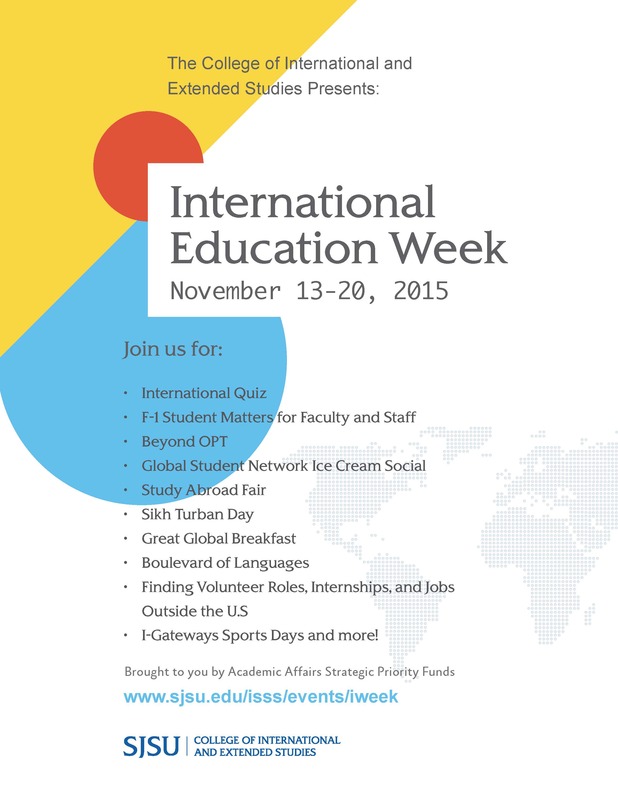 The College of International and Extended Studies will host International Education Week Nov. 13-20. The activities offer opportunities for international and local students to socialize while learning about other cultures. The kick-off event on Nov. 13 will be the SJSU International House International Quiz, where teams of four to eight students will answer global trivia questions for a chance to win prizes. Other activities include I-Gateway Sports Day, Global Breakfast, the Boulevard of Languages and other opportunities to engage. All students can learn about study abroad opportunities as well as volunteer, internship or jobs outside the U.S.
International Education Week is funded through the Academic Affairs Educational Excellence and Student Experience priority group as a way to promote global citizenship. Visit the CIES International Student and Scholar Services website for a full list of activities.